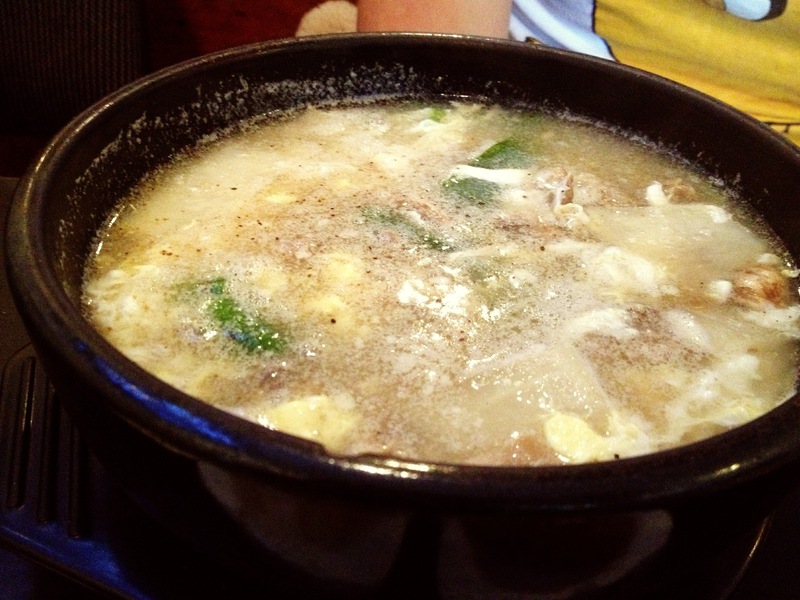 I always wanted to try Korean pork bone soup and there was probably no where better to try it than Korea Town’s Owl of Minerva which I have previously read about on BlogTO. Pork bone soup known as “Gamjatang” was listed on the menu for only $6.20. Since the price was so low, I assumed it would be a small portion so I included the $3 add on of dumplings and noodles. Not only was the portion pretty large and comparable to that of Pho, but it also came with a bowl of rice and a few sides. The soup was chocked full of pork. I expected a single pork bone, but there were many and the meat was fall off the bone tender. The red colour meant it was spicy, however it was a manageable heat. I totally did not need the add-ons though, there was plenty to eat for $6.20. We never order the same thing (because that is silly), so Nash got the “Kalbitang” also known as Short-Rib Soup. It came in a white broth that had a black pepper and garlic aroma. Ingredients included green onions, short ribs, onions, egg and glass noodles, which were very tricky to pick up! I have to admit I like my soup a bit better. For under $20 the meal was filling and tasteful. 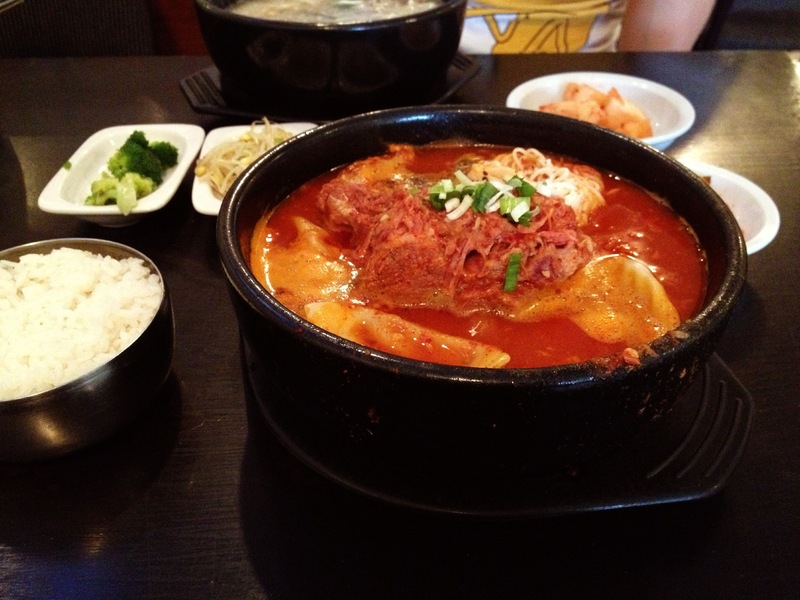 We will definitely go back to try the non-soup dishes of which there are plenty!